At LawnEQ, we carry all the parts and equipment you need to keep your utility vehicle running smoothly all year round. From air filters to replacement seats, from park brake return springs to replacement lights, and everything in between … if it's used on a utility vehicle, you can find it at LawnEQ. 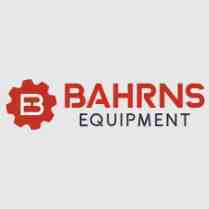 We're one of the biggest and most popular utility vehicle replacement parts and equipment providers in the industry. That's why the professional turn to us to provide the parts and accessories they need to service their utility vehicle fleets. Whether you have one utility vehicle or hundreds, you can get the replacement parts and equipment you need from LawnEQ. Not only do we have the biggest selection, but we also carry the most popular brands ... not to mention the best prices. No wonder more utility vehicle fleet managers are choosing LawnEQ for all their parts and equipment needs. Choose LawnEQ to keep your utility vehicles ... and your business ... running right!